Can you mention some of the common symptoms of RSI? They include extremity weakness, pulsing pain and aching. It is also common for the affected people to develop the intermittent discomfort and tingling. One of the main risk factors of repetitive strain injury is associated with the extreme temperature. There are a number of conditions associated with repetitive strain injury. They include focal dystonia, trigger finger, carpal tunnel syndrome, golfer’s elbow, thoracic outlet syndrome, radial tunnel syndrome, ulnar tunnel syndrome and edema. In the modern world, people use the keyboard entry devices like computers and typewriters. Both devices are always associated with the presence of repetitive strain injury on the shoulder, neck, hands and arms since 1970s. 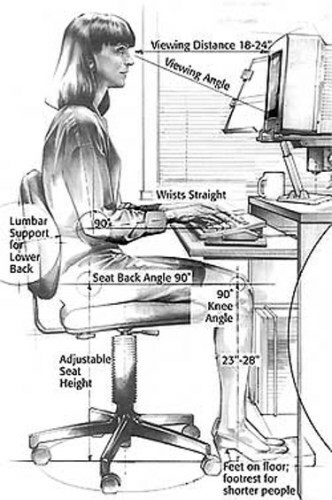 The workers have to maintain a fixed posture and repetitive motions on their fingers to type the keyboards on the typewriters or computers. Occupation plays an important role in developing the repetitive strain injury. It is rare to have a musculoskeletal disorder caused by a single event. Usually it appears because of the cumulative trauma. The injuries on the muscles, tendon and skeleton are common among the poultry workers and miners because they have to do repetitive act. The worker with repetitive strain injury usually has higher level of urinary catecholamines. The work organization also affects the level stress of the workers. The long work hours, excessive work rate, low level of social support and limited job control increase their level of stress. The workers with less supports from their supervisors or co-workers may develop chronic pain syndrome from their painful RSI. The risk of having RSI among the workers is higher when they are older. That is why gender and age are included in the risk factors of RSI. Men are likely to be affected by the repetitive strain injury because they have bigger strength and muscle mass than the women. 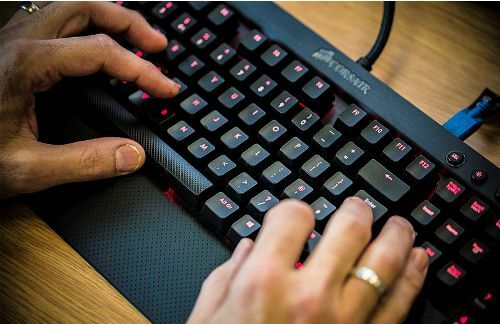 Do you have any comment on facts about RSI (Repetitive Strain Injury)? Share the post "10 Facts about RSI (Repetitive Strain Injury)"
A health condition, which affects the bones, is explained on Facts..